Houses & Homes VA: A Christmas Bonus You’ll NEVER Forget! A Christmas Bonus You’ll NEVER Forget! Many of us look forward to a healthy Christmas bonus every year at this time depending on our profession and whether we happen to be self employed or not. I don’t know what the “average” bonus is for most workers. I suppose it depends on your industry and level within your particular company but I do know a huge bonus when I see one! How about a $100,000 bonus this year?! That’s exactly what each and every one of the almost 1,400 employees of Hilcorp received this year for their bonus! Hilcorp is owned by billionaire Jeffery Hildebrand and is the largest privately held oil and gas producer in the U.S. Actually this is nothing unusual for the happy workers at Hilcorp. It is, in fact, a tradition that the employees of Hilcorp have come to look forward to. Five years ago workers were given a choice of $35,000 cash or $50,000 towards the purchase of a new car. If you do the math this year’s bonuses will total well over $100 million and that’s a considerable amount of money! Still it should be noted that according to Forbes Mr. Hildebrand himself made about $5.9 billion, yes billion with a “b” last year so it’s no financial strain for him to be generous. I must say that I’m quite impressed with Mr. Hildebrand’s generosity however. While some may say that these bonuses are nothing compared to the money that the workers make for him it is still quite rare today to see such overwhelming generosity from an employer. 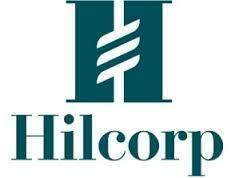 In addition to the money, Hilcorp has been voted as one of the best places to work for in the industry and that’s something that you can’t put a price on. Workers also have the opportunity to give to their favorite charity each year. Upon being hired an account is opened in their name at the Greater Houston Community Foundation and an initial deposit of $2,500 is made by Hilcorp on their behalf. After that every additional dollar contributed by the employee (up to $2,000) is matched by the company. So far more than $11 million has been donated to charity through this cause. I salute Mr. Hilcorp at this time of year when giving to others is so important. Perhaps someday more employers will learn that giving is also part of their responsibility to the workers that make it all possible.